8. 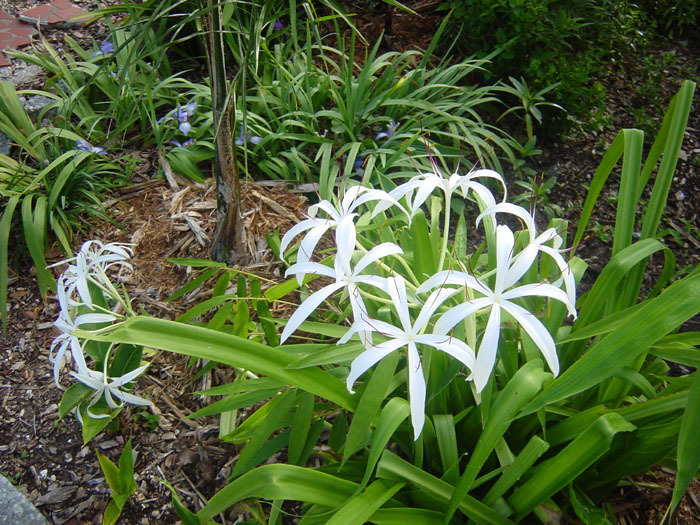 Spider Lily (Crinum americanum) in front with a blue iris from my old friend Mark Bidell in the back. The iris tend to lay close to the ground.